Fair enough. So that’s what I’m going to do in this post. I’m going to talk about money and how to de-stress :). I’ve noticed that many people do not like talking about money. We can talk about past physical and emotional pains, present ails and future concerns but when it comes to money, there can be feelings of insecurity and sometimes even shame. It is important then to not hide from our attitudes about money but get familiar with them instead. The personality, yours included, was born with a sense that something is missing. You can find this in yourself by asking, “what would I like more of in this life?” You may say, “more love”, “more peace”, “more openness”, “more freedom”, “more courage”, or “more wisdom”. Or, you might come up with something like, “more time” and inevitably some of you will come up with, “more money” -especially now that I’ve already brought it up! To want more love, you must be believing that you don’t have enough love. To want more peace, you must be believing that you don’t have enough peace. To want more openness, you must be believing that you are not open enough. To want more freedom, you must be believing that you are not free. To want more courage, you must be believing that you do not have enough courage. To want more wisdom, you must be believing you are not wise enough. To want more time, you must be believing that you do not have enough time. to want more money, you must be believing that you do not have enough money. Something can only exist when the environment is right for it to exist. Continuing… Believing that you don’t have enough money is very stressful. What happens when you hear yourself say, “I can’t afford it. I don’t have enough money.” Your heart closes, chaos erupts in the mind and in the emotions, you feel trapped, you feel scared, you feel dumb for being in this situation in the first place. Money is energy and so it behaves like energy. The nature of it is to come and go. When we hold onto it in reality or in our minds it becomes stagnant. When energy becomes stagnant it accumulates. This may seem at the surface a good thing -we want money to accumulate in our bank accounts but we also want it to flow in and out. Flowing out (sometimes against our will) can offer the opportunity of a clearing out, a downsizing, a simplifying, which is ultimately stress-reducing. After all, we are all terminal and we do not take our cash and assets with us when the story of our life ends. When money flows out, there is room for more to come in. When energy stagnates in the body, it creates dis-ease. Money is governed by the root energy center and so when there is disharmony in money attitudes, the lower back can be affected. To have faith and trust that you have what you need. My client’s higher self really wanted her to know that everything is ok asking her to have faith and trust. The image I saw in my mind was of a monopoly board. 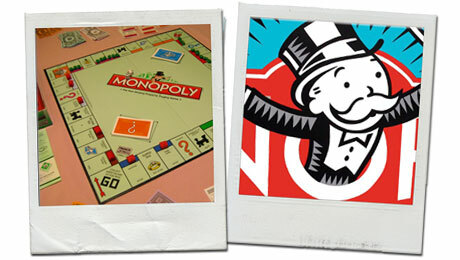 I was reminded of playing monopoly as a kid. How it felt when on the throw of a dice I landed on a property that wasn’t mine and had to pay, and the excitement when someone landed on what I owned and had to pay -especially if there were hotels on it! I enjoyed the analogy. It’s so real when you are playing -you are so invested, but then when the game is over, you remember that it was just a game. You win some. You lose some. And often you don’t have much control over either. Isn’t life really just a game too? It takes energy to feed the, “I don’t have enough money” belief. Energy that could be better spent on paying attention to what you DO have. Energy that could be better spent nurturing ideas and taking action on projects that are creative and fun and contribute to the beauty, happiness and well-being of our planet, it’s plants, animals and people. There is a ground that supports me. A body that breathes whether I ask it to or not. A heart that beats whether I give it permission to or not. I have people who love me. Listen to your precious heart beating. Be grateful for the people who love you. Be safe knowing that you have what you need. If that’s true, in this moment, in reality, could it be also true that actually you have MORE money than what you need right now? I mean, as you read this, you’re not buying anything, are you? You aren’t handing cash over to someone, are you? I can’t know. I’m not there with you, but I’m guessing not. You have enough of what you need actually. And this thought, “I have enough of what I need,” feels way more pleasant than, “I don’t have enough money”, doesn’t it? Believing the thought, “I have enough of what I need”, feels…. So because what is here in your reality can only be here because the conditions are right for them to be here, if you want your reality to change (more money, more fun, more freedom, more love etc), the environment needs to change. You have the power to nurture your mental environment. The next time you hear yourself say, “I don’t have enough money”, or “I can’t afford it,” remember what is more true, “I have enough of what I need.” Stay here in open allowing, grace and gratitude so you can use your energy in creative, fun and loving ways. To break through concepts such as, “I don’t have enough money”, consider a one-on-one session. Sessions can be in-person if you are local to New Jersey, USA or via Skype. You may also wish to consider learning Reiki as a method of self-care. In the second level (degree) of Reiki, breakthrough limiting beliefs to clear the environment for creation and manifestation.